The great beast seemed to glower back at them all, its small black eyes glinting with bestial hatred beneath its horned brows. 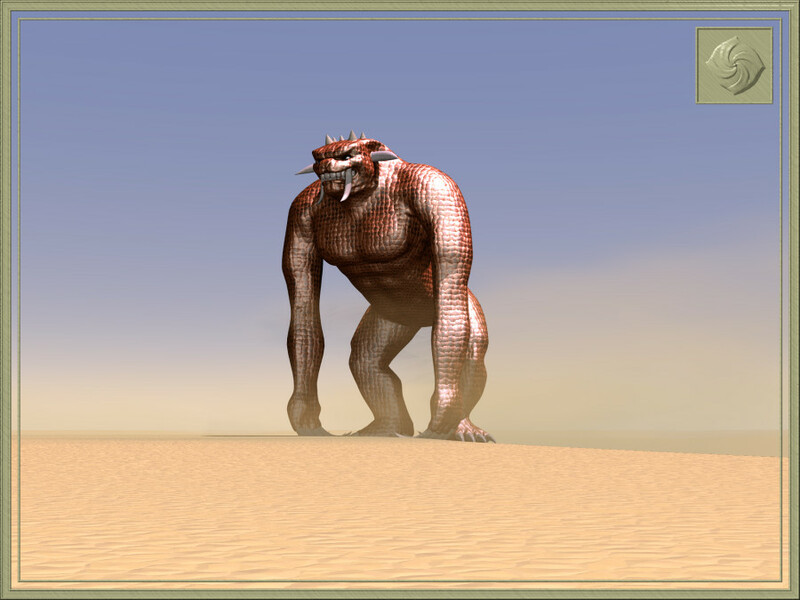 Its arms hung almost to the ground and its thick curved claws scrabbled at the earth around its wide feet. Though there was little enough to gauge it against, no one could mistake its apparent size. It was huge, and even this evanescent image seemed to compress the air of the room with its bulk. It stood before them, the height of many Ell, and exuded strength like an element.